Sitting in the middle of the Hawaiian island chain, Maui may serve as the Goldilocks example of the idyllic Hawaiian island to visit for the first-timer. It has breathtaking natural beauty, outdoor hiking/activities given its varied climes along Maui Upcountry shouldered by Haleakala, gorgeous beaches replete with marine life to dazzle your eyes while you snorkel or dive, and in the right season, whale-watching. Maui lies somewhere in the middle of the spectrum between the more populated and developed Oahu and the rugged isolationism of Kauai. As we went in May, we did miss whale-season but we gained great value as this is a slightly off-peak season between the North American winter crowds and the upcoming summer holidays. If you are getting to Maui via Honolulu and need some recommendations on how to spend a few days in Honolulu, please refer to our prior blog post http://www.seekingsky.com/blog/2017/2/25/honolulu-itinerary. While we do always enjoy island vacations, Maui was definitely a cut above the rest, as it fed perfectly into our love of exploring outside of just the resort. Maui has a well developed infrastructure that easily allows you to explore the entire island on your own, a plethora of non-water related outdoor activities, and of course amazing local dining. 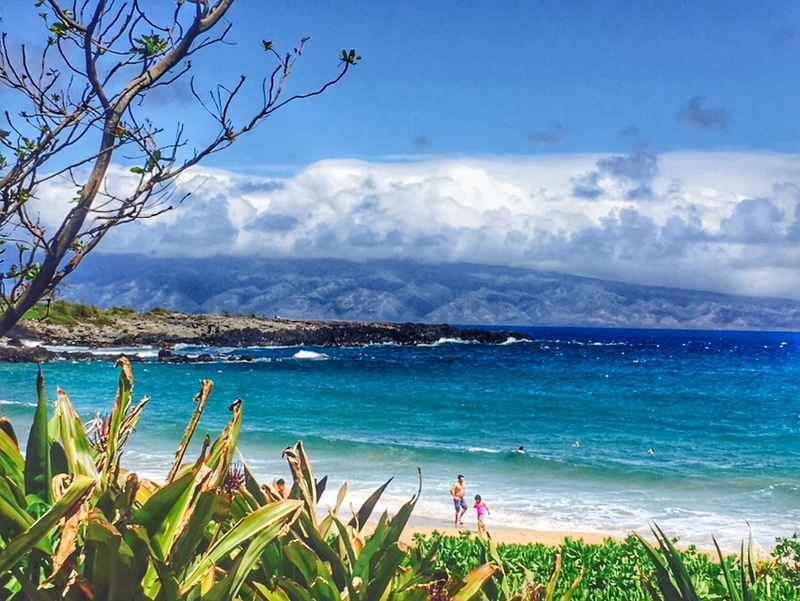 When to go: Maui is a year-end destination. That being said, the pricing is actually paradoxical. 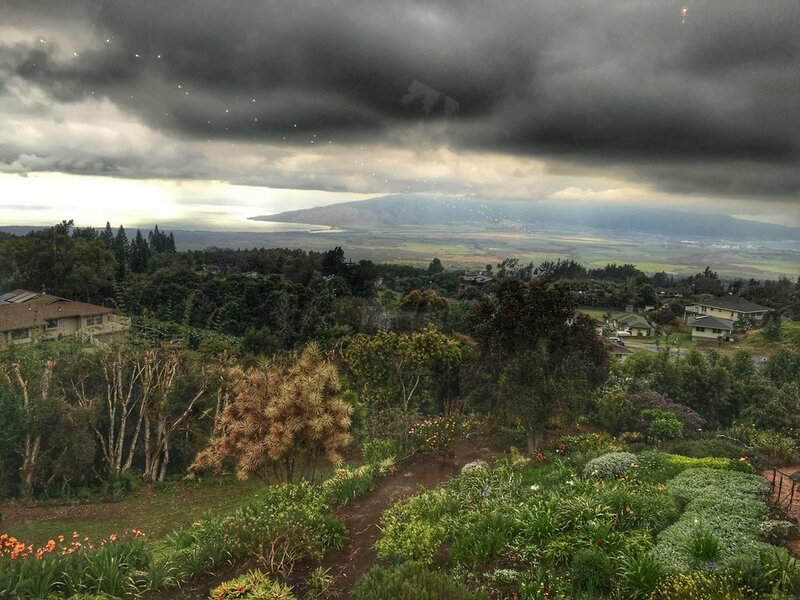 The High Season (most in demand) is not related to Hawaiian weather patterns. Instead, it is related to the fact that the weather is worst through the North American winter between Dec-March and coincides with major school holidays/breaks; expect to book things in advance and pay a premium as mainland visitors descend on Hawaii. If your schedule is flexible, the Best Weather in Hawaii actually coincides with the Low Season (less in demand) between May-June and Sept-Nov. If you can travel at this time, you can avoid some of the crowds and save a little bit of money. Just as Hawaii is extremely popular with American and Canadian tourists (especially during Xmas and winter/spring breaks), you can save some additional money by avoiding Golden Week holidays in Japan (late April/early May) as Hawaii is a very popular destination among the Japanese. If you are going for whale-watching, the peak season is between January-March. Rent a car. You will want to explore on your own and not be dependent on tour groups. Infrastructure and safety are not issues. Bring your own snorkeling equipment - a MUST! We stayed in West Maui and there are so many mini-bays/inlets full of great coral reefs and marine life (Kapalua Bay, Napili Bay, Honokeana Bay) that you will want to just jump into the water and explore. Some of these places do not readily have snorkeling equipment available for rent if you are not staying in the adjoining hotel. You are, after all, in Hawaii; be prepared to jump in the water anywhere! How to Use: We had 5 nights in Maui. In the realm of our itineraries, this was not the most daunting or packed. We were on our honeymoon and wanted to live on "Hawaii time" and take it relatively easy. As we stayed in West Maui, this itinerary clearly has that geographic bias. However, since we did research the entire island we will provide as much insight as we can. Those sites/activities that were on our short-list but we didn't get a chance to visit will be italicized. Because our Maui time wasn't super structured we will desert our traditional "to be done in a given day" methodology and use a more free-flow listing of activities and food while listing opportunities to pair certain things when appropriate. The food in Maui is top-notch. Of course, dining in Maui isn't always cheap but we included some of our favorite food trucks/stands to give you the whole range. For all of the restaurants, definitely make a reservation ahead of time. This is in close proximity to the airport at Kahului. The shrimp plates here are large, reasonably priced and tasty. You can call in ahead if you don't want to wait once you get there as it will take them about 15-20 mins to make your food and there usually is a line. We would suggest to pair this as your first or last meal on Maui since it's close to the airport. Delicious pan-Asian food at a very reasonable price. We had a ton of amazing food in Maui and this was our favorite. We had researched these restaurants and they were on our short list, but we didn't get a chance to go to them. Nonetheless, we wanted to share them so you may research them for you to explore. They may be ideal if you are staying or spending time in Central Maui. They are very well-reviewed and if you go definitely let us know what you think. 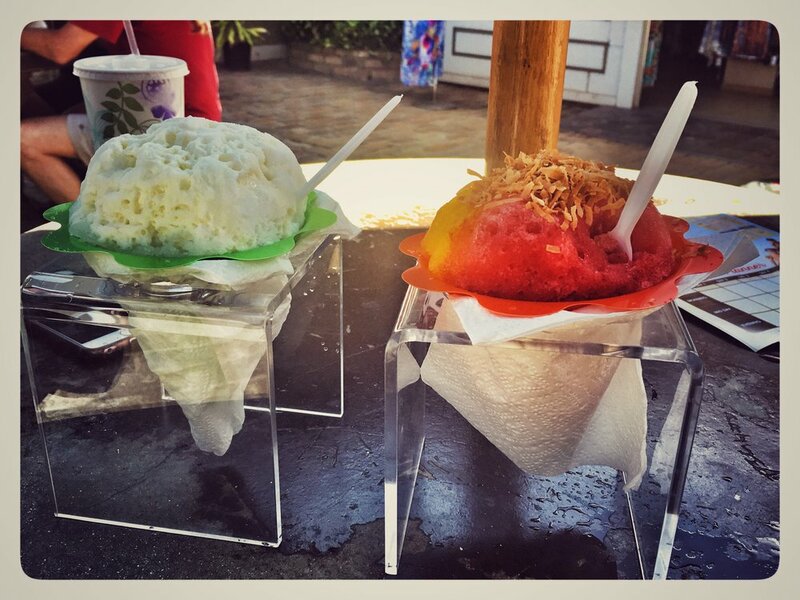 If you are staying in West Maui, these could be paired with a more eastern excursion such as Haleakala. In our humble opinion, this is a must-do activity. At the top of the summit, there is an otherworldly view that awaits you with a kaleidoscope mix of colors and a jagged starkness as you look down this volcano from above the clouds. We decided to do this this without a tour group. We rented a car and drove to the top of the volcano around mid-day. The road is windy and only has one lane, so it is safer to drive up mid-day. Don't worry if halfway up the mountain it seems super foggy and even drizzles; the weather will change the further you go and will hopefully clear up when you are at the very top. Here, it is all about micro-climates and if you are patient and lucky when you get up to the very top, you will see some amazing views. You can just drive along west Maui on your own and see a tremendous amount of great corals and colorful/diverse fish for free by jumping in these bays/inlets. We'd recommend to save your money and avoid the snorkel excursions by exploring these bays/inlets. In fact, at Honokeana Bay, if you spend enough time and snorkel around, you are basically guaranteed to see and snorkel next to some sea turtles!! Ka'anapali Beach is a beautiful sandy beach for those who want to lay and relax. If you are up for more snorkeling, just next to the Ka'anapali Beach (within walking distance) you will spot Black Rock Beach which is a huge black lava mound jutting out into the sea. This has plenty of marine life. Just be careful with strong currents and jumping cliff divers. As we stayed in West Maui, we didn't get a chance to do this. From where we stayed this would be about a 6 hour round trip drive WITHOUT any stops or traffic. We would inevitably hit some traffic and would also want to stop and explore different spots along the Road to Hana. Since we were on our honeymoon, we planned to do this trip on a more leisurely pace and did not want to change hotels. However, everyone that has done this excursion has loved it. We hope to do this in the future. For those with the time and energy, this is highly recommended. We did not get a chance to visit this given time-restrictions, but was recommended to us by some folks.